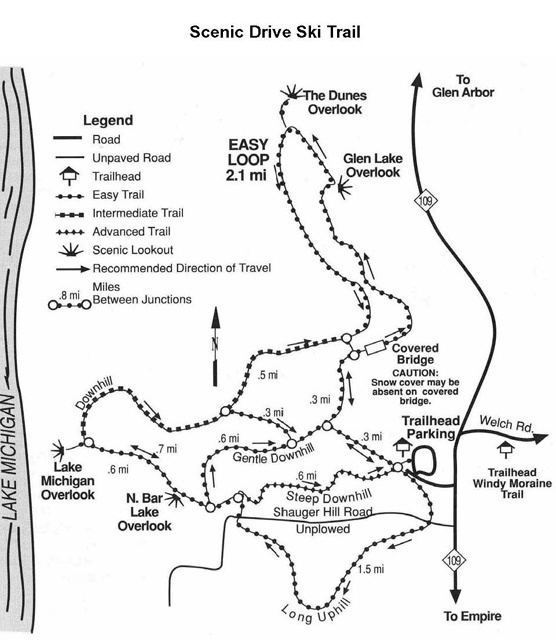 The trail includes the Shauger Hill Hiking Trail and the unplowed Pierce Stocking Scenic Drive. 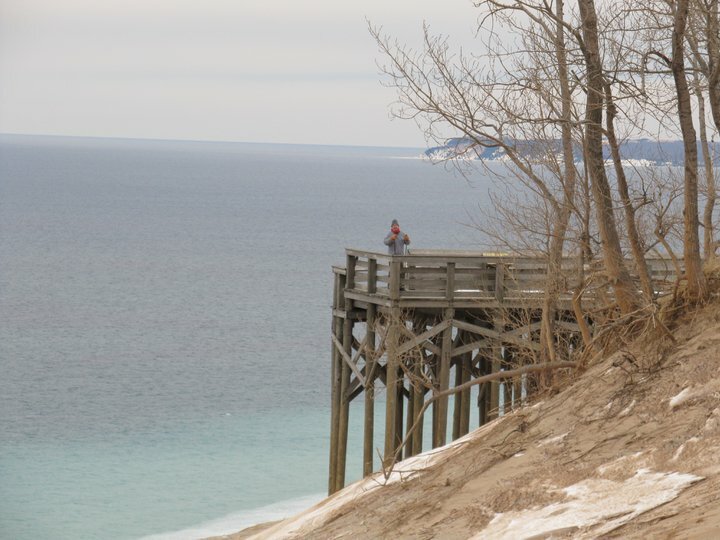 It offers views of Lake Michigan and the dunes. For your safety, stay back from the edge of the steep bluff. Pets on a 6′ leash may be taken on the unplowed roadway section of the trail, but the Shauger Hill Trail section is a Designated X-Country Ski Trail and Pets are not allowed on this section of the trail between December 1 and March 31. Ski to the top of the Lake Michigan Overlook and view the winterscape along the Lake Michigan shore. Be careful where you go, because if you fall, you will end up taking a FAST slide to the bottom of the bluff 450 feet below! Not only is the trip down dangerous, but the hike back up the frozen bluff is nearly impossible. Although the main loop follows the summer road, smaller trails wind through the wooded hills offering some exhilarating down hill runs. Post by Leelanau County Michigan.